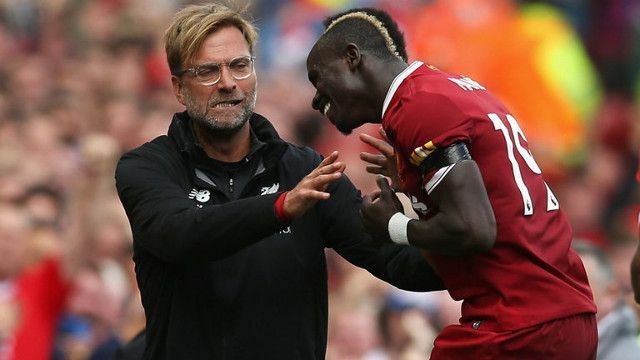 Sadio Mane was filmed having a heated exchange with Jurgen Klopp at full-time of Liverpool’s 1-1 draw with Chelsea at Anfield. The Reds forward was dropped to the bench by his manager following the midweek Champions League draw against Sevilla, in which the La Liga side fought back from being 3-0 down at half-time. Though there is no proof Mane’s discussion with his manager had anything to do with the team selection, the Senegalese star will undoubtedly have been disappointed to watch on from the sidelines. Mane has been a prominent figure in Liverpool’s attacking setup this season, and was a shock omission from the lineup against Antonio Conte’s men. One man who retained his place in the team was summer-signing Mohamed Salah, who continued his frightening form in front of goal to notch his 15th of the season across all competitions and his 10th in the Premier League. The Egyptian served up another reminder to his former employers of the talent they missed out on, as well as producing the highest goal-scoring tally from a Red in a season since Luis Suarez’s 31-goal 2013/2014 campaign. A draw against Chelsea proved to be a fair result in the end, with the reigning champions posing as a constant and well-drilled counterattacking threat. With that in mind, an affordable rest for Mane and also Roberto Firmino could pay dividends in the weeks to come.